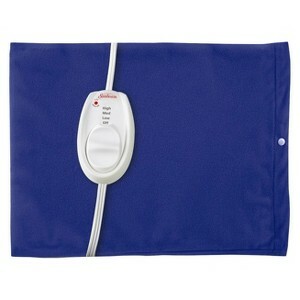 I found good information in this instructable, Disabling Auto-Off on a Sunbeam Health at Home heating pad. I opened the controller up, and the circuit board was similar, but some of the components had moved, and the microcontroller was different. Microcontroller is a NXP Semiconductors HEF4060BF. 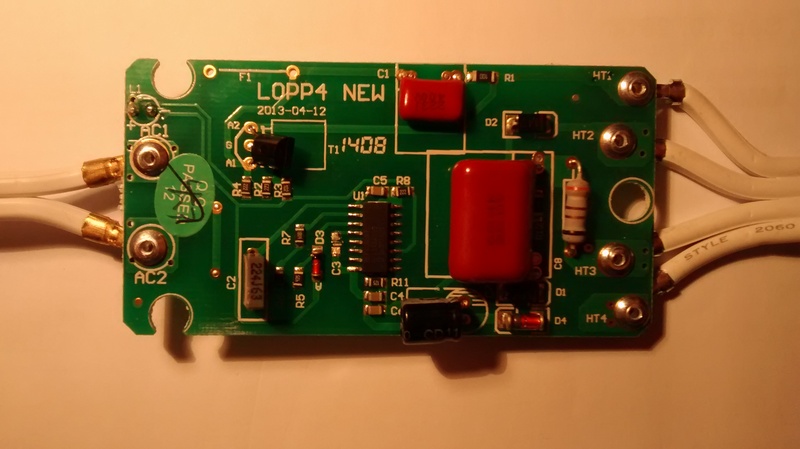 I figured this is similar to the CD4060, and found this datasheet, 74HC4060D Philips/NXP. Looking at the circuit board, there is a capacitor (C3, 480nF) between pins 12 and 16 which makes sense if pin 12 is the master reset. Pin 3, Q13, is connected to the triac (T1). Pins 9 and 19 have a capacitor (C2) and resistor (R7), and this likely makes up the RC timing circuit. So this chip is a 4060. As you can see on the circuit board, I removed C3. I replaced it with a 10K ohm resistor, and now the heating pad stays on indefinitely. I’ve got the Microchip IC (PIC16F506) more like the one in the instruct-able. I was able to disable the timer by disconnecting pin 2, but I noticed that there was a resistor from pin 2 to pin 3. I was wondering if there is a way to change a few resistor values to modify the length of time that the auto shut-off feature works. My model is a 3 hour timer, but I would like to make it a 10 hour (or something like this) as opposed to just disabling the timer. Do you have any ideas for that? Here’s the datasheet. Well Peter, if your heating pad has a PIC16F506 in place of the counter IC, it is just luck that pin 2 worked! The basic circuit seems to be a triac that sends power to the heating pad. The triac is on until the counter/timer circuit sends a signal to shut off. The PIC16F506 has its clock input (CLK) on pin 2, so lifting pin 2 keeps the PIC from running. The circuit on my heating pad has the clock feeding the counter made from an RC oscillator–a resistor + capacitor. Changing the value of either of these components will change the clock frequency and thus the time the timer goes off. 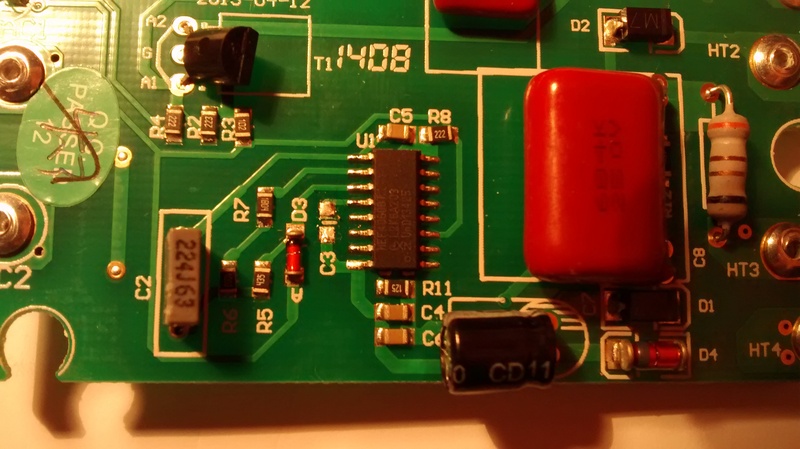 Replacing the resistor or capacitor with a higher resistance/capacitance component will lower the frequency of the clock and make it take longer to shut off. I have the same controller as Peter and instead of lifting PIN 2, I removed the resistor (10K) between pin 2 and 3, just because it was easier than lifting the pin. I know almost nothing about PIC and only a little about circuitry, but it would seem that pin 2 and 3 can be configured as standard IO ports, while Pin 3 can be configured as clock out. Based on that and the fact that the PIC seems to be running despite having the pin 2 disconnected – I can change heating modes LEDs with a push of a button and the LEDs are PIC driven, I am guessing that for some reason the PIC is programmed to output clock on PIN 3 and then read it on PIN 2 to use that as source for a counter (maybe?). But as I said these are only my conjectures based on my limited knowledge, or lack there of. So take it with a grain of salt. Bottom line is: the blanket heats with no time limit if the resistor between pin 2 and 3 is removed. Hi, I also have the same PIC16F506 chip on my sunbeam blanket I just bought at Costcos. It has that annoying 3 hour timer. 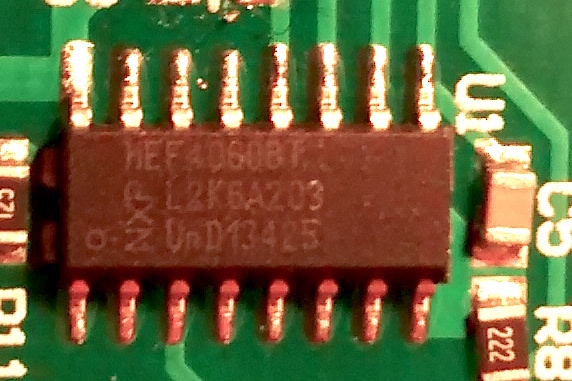 I see that 10K resistor between pin 2 and 3, I guess that makes sense to just remove that instead of cutting pin 2. If any of you guys figured out how to change something to get say a 10 hour timer, please post here. Thanks admin. I have the same board and controller chip you have. I’m going to use your 10Kohm resistor fix, but when I went to purchase it, they asked what wattage? I bought both 1/4 W and 1/2 W but will try with the 1/4 first as they didn’t have surface mount components, so this is going to be a squeeze to get it in. I hope 1/4 W will work. The half watt is a bigger resistor. He told me if the wattage is too low it will smoke. The 1/4 watt is fine. This is a timing circuit, very low current (likely 5-10mA, 5V, so 0.025-0.05 watts), so any resistor would work. Peter on there described his circuit.. which also is the one I have now. Could you please tell me how to disable my PIC16F506 chip? Should I physically disconnect the pin from the board? Wouldn’t it be easier to just cut the runner from Pin 2 to the surface mount resistor connecting pin 2 to pin 3? [The resistor normally connects between Pin 2 and Pin 3 of the chip]..? Marc, cutting the trace should work–any method that disconnects pin 2 will work. CA T94E E12107..I wish i could post a picture.